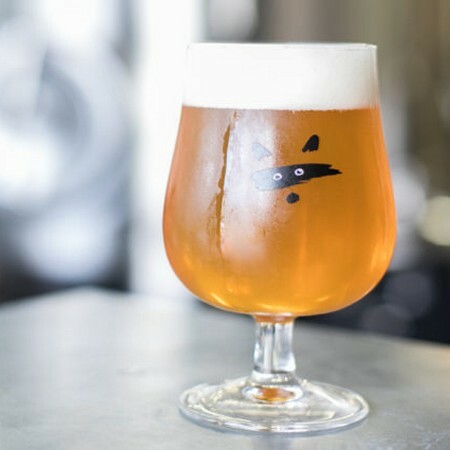 TORONTO, ON – Bandit Brewery has announced the release of the first in a planned series of saisons exploring the effect of fermenting with various strains of Brettanomyces yeast. Brett or Alive Saison is a 5.9% abv variation on Bandit’s staple Farmed & Dangerous Saison, but with Brett used for second fermentation. Growing up in France, the first Brett beer I tried is Orval, a quite unique Belgian Trappist beer. It’s an acquired taste for some, but I was hooked from the first sip! With this version of Brett or Alive, we are adding Brett in secondary fermentation, but it is also possible to do a 100% Brett fermentation. Brett also benefits from being added in ageing barrels since it gives the beer more time to develop unique flavours. Brett or Alive is on tap now at the Bandit brewpub, and bottles will be available soon in the brewery retail store.